One of the highlights of Christmas this year also sheds a little light on what I think we can expect from God in the coming year. It was my son’s gift to his sister. David loves to give gifts. I’m sure it’s his “language of love.” For Mother’s Day, he bought me a wonderful digital camera. This Christmas, he bought Christine an ipod. That’s probably why he wrapped Christine’s ipod in a very special way. Knowing she would immediately guess if he just wrapped the package it came in, he put it in a bigger box. Wrapped it. Then he put that into a very large box and wrapped it (all by himself, I might add). Yes, she was surprised–and joyful. This message has to be both seen and heard, rather than read, to be grasped. Rick Warren is the author of the wildly popular The Purpose-Driven Life and other books. His books have brought his fame and fortune, what most people think they want. But recently, he’s also had to deal with cancer. I hope you enjoy this story from Abundant Gifts, appropriate for Christmas. 1. My daughter had a parotid gland tumor removed last week, a very tricky surgery because the main facial nerve is right there. The surgery was successful–no nerve damage–and the tumor benign. people, no less, over a feast! What could be better than that? Click here to listen to the “Audio Note” I created for you. 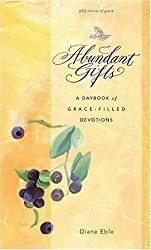 Oh, and if you want to make things easier for yourself on “black Friday,” why not order copies of Abundant Gifts? Just a few clicks and you’re done. I thought you’d enjoy a story from Abundant Gifts that, if you had the book, you’d be reading this week. This is an everyday gift and also speaks of gifts to others. This past Easter, I bought an Easter lily. 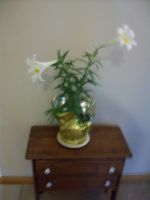 I love Easter lilies. Love the sweet aroma , the strong stem and glossy, symmetrical leaves. Every year at Easter our church gives the opportunity to buy a lily plant in honor of someone who has “gone before” as witness to the resurrection. I bought mine in memory of my dad, who two years before he died “became one of those born-agains” he used to scorn (including, of course, me). I had prayed for him for some 30 years before he came to the Lord. So, my Easter lily was special. Once a year, that sweet aroma that spills out of the trumpet-shaped flower would remind me of hope. The hope of Easter–life triumphing over death, fully and finally. The thing about these plants, though, is I never quite know what to do with it afterward. This year, I set the pot in my garden under the pine trees. I watered it occasionally, whenever I watered the other plants in that area. The other day, I looked a bit more carefully at it when I watered. The plant that, last time I noticed, was a sickly looking stick with no leaves, was now vibrant. Not only that–but two blooms were ready to burst open! Three days ago, one did open. Today the second one opened. The fragrance fills the house. For of course, I brought it inside. There’s even another small plant started–a baby lily, ready for next year. Easter in autumn. Fresh hope as we head into winter. “Winter,” in the form of certain stresses, challenges, and even threats, looms. But … here are my lilies, spilling their improbable fragrance boldly. Whatever comes, God is reminding me to hold onto hope. Easter is ever here … not just in spring. Easter comes in autumn, too. Hope can bloom anytime, anywhere. When I worked as an editor at Campus Life magazine (many moons ago), August was the month Christmas was on our minds. That was the month we worked on the November/December issue. I don’t know why, all these years later, I’m thinking of this. Maybe it’s because I have two teenagers of my own. Anyway, I got to thinking how it might be fun to have a little “Christmas in August” sale. You can also get more specific, but I can’t guarantee I’ll be able to do more than send you a fiction or nonfiction book. It’s kind of like the gifts God himself gives us. We know they are coming (because he’s so generous), we can even ask for what we want, but he reserves the right to decide what we get. 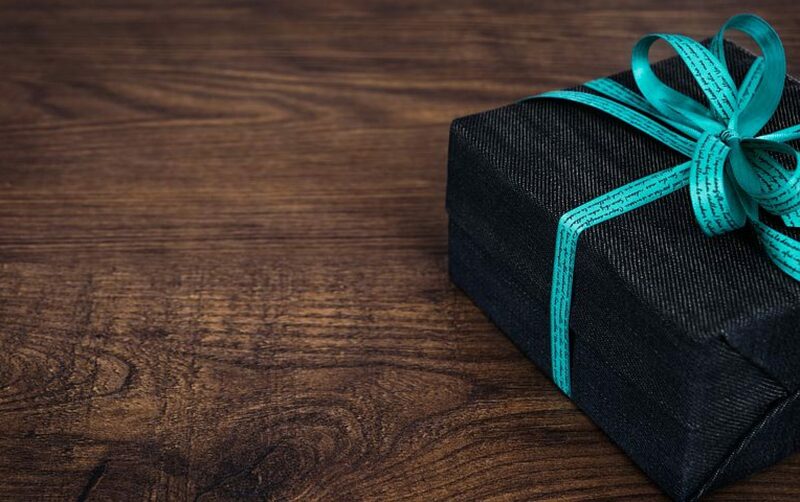 So click on this link and get yourself some added inspiration from Abundant Gifts, or give it and/or the free book to a friend. If you want to sample 5 stories from Abundant Gifts, click here. Note: I don’t know how long my supplies of either Abundant Gifts or the grab-bag books will last, so if you’re at all inclined to accept this fun offer, now’s the time. Two books for less than $20 (including the shipping), and one of them signed by the author … I don’t know, seems pretty good to me! I want to share a message with you that puts some perspective on the meaning of Easter … at least for me. So click on the little player button, and sit back to listen to “Sick to Death” from Abundant Gifts … it’s only 4 minutes, 5 seconds long.